During the Spanish period, it was said that Spaniards asked the original dwellers what the name of this place was. Nearby was a group of people drinking shots (tagay) of tuba (coconut wine). Not clearly understanding the Spaniards, they answered, cheering and singing “kanta…gay”. Consequently, the barrio was unwittingly named ‘Cantagay”. There was a recent plan to change the name of the place due to the bad connotation. They wanted to change the name to “Punta Cruz,” but when the people voted on the name for the place, Cantagay still won. So it remains today. 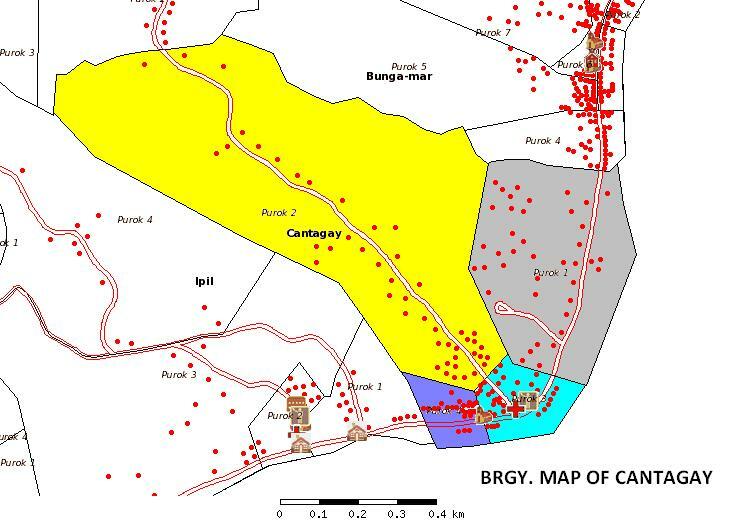 Barangay Cantagay is a simple community with productive citizens who are peace loving and willing to undergo challenges and participate in all projects and programs for sustaining growth and protection to attain self reliance, independence and prosperity. To safeguard the welfare of the people through implementation of sensible policies and programs that will enable each individual to be involved. 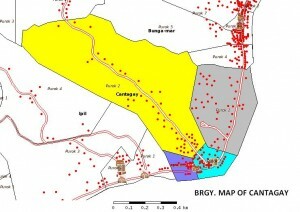 Barangay Cantagay a progressive, peaceful, environment friendly and God fearing community.